Christmas is just over a week away, so preparations at the North Pole have to be absolutely frantic. And with the growing world population of kids (and adult kids like me) means that Santa has just a few more visits every year. 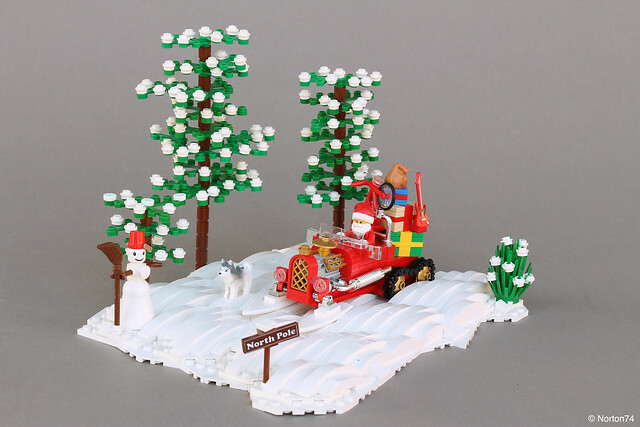 Luckily builder Norton74 has a solution to this, by souping up the sleigh into a hot rod. Though the flight characteristics are not clear, on the snow it looks like it really moves.